I have seen this little box recently and it intrigued me a lot. It has an impressive build quality. It has a very thick aluminum case and it feels like a tank can get over it and wouldn’t hurt it. Ok…Now I am curios..would it hurt it? Why am I thinking of this? Hmm…All i need now is a tank… Does anybody know a guy…with a tank? I managed to get a test unit and while I had a good feeling about this small box, it still managed to surprise me. Let’s get to business shall we? 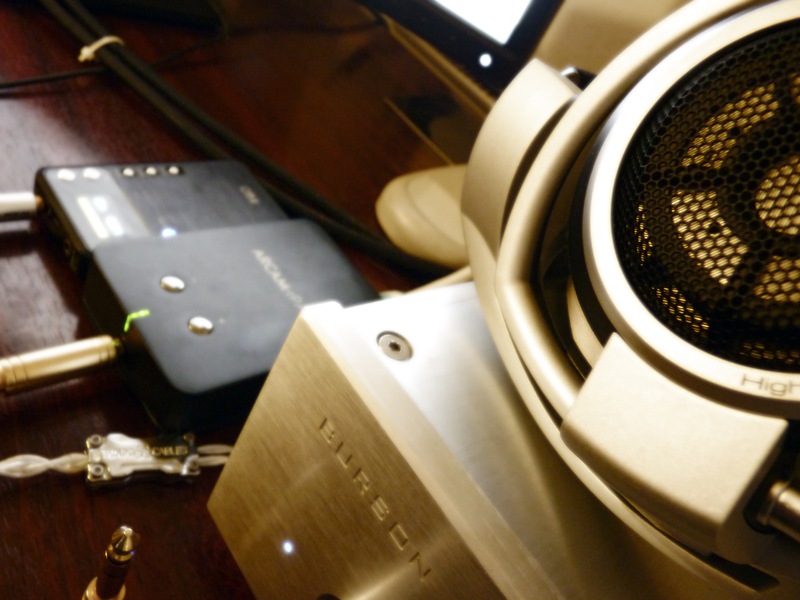 For testing, I have used Sennheiser HD800, Focal Spirit One, Audeze LCD2, Fiio E17 and Burson Conductor. The treble is really detailed and sparkly at the beginning. The bells were nicely separated and had a very present ring. The presentation was detailed and I just loved the drums coming from every direction which you can easily pinpoint. The voice was natural and had a nice texture. This was a nice surprise. The sound was airy, articulate, controlled & detailed. Loved how the guitar strings snapped with full extension as they were right near me. During the test I liked the sound presentation so much as I listened to 4-5 other songs from that album. Wow…I just loved this song…I really got caught in the moment. I don’t know about you but I just love articulate sound and this combo, rPac+Spirit One, was just awesome. The guitars gave me goosebumps. The drums…had a very very good impact and round full sound. Again loved the guitars. rPac goes very well with the articulate nature of the Focal Spirit One. Leonard’s voice seemed natural and present as it should be throughout the song. Really nice PRAT. Really toe tapping! I really feel that the separation of instruments is quite good in this small package. The sound articulate as always and the bass was fast and with good extension. The PRAT was awesome. I really love the well extended bass with the rPac. The sound was fast, energetic and really engaging. The sound was quite open and dynamic. On this piece, however I realized the background wasn’t quite black. I changed the stock usb cable with a Chord Usb Silver Plus and the problem was solved. The difference was quite noticeable. Given the price point you would ask yourself how it would compare to FIIO E17. These units are pretty close but there are some differences between them and it may be a matter of choice after all. The rPac had a more detailed sound with better decay, the sound was more articulated & better rounded at both ends, with better instrument separation, better bass extension and more energetic. E17 has a warmer presentation & a cleaner sound than the rPac and that is mainly because the E17 runs on battery while the arcam is powered by the USB. I have tried a better cable with rPac and it really improves the sound. Sound wise, I prefer the rPac to E17. 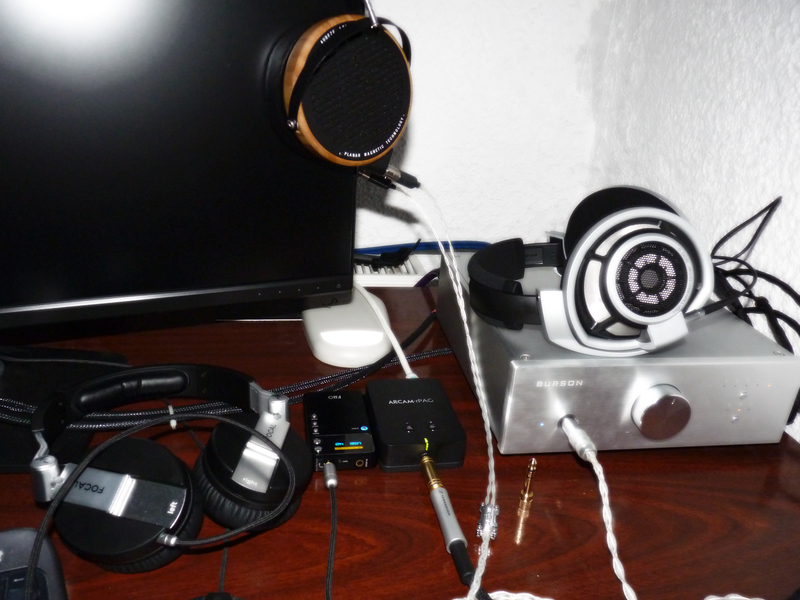 I have tried Sennheiser HD800 with both units. rPac was maxed out for normal listening, while the E17 had more until reaching maximum, so it seemed like e17 had more juice. However I felt that the control was quite better on the rPac, and it did reach a good normal listening volume. So rPac quite impressed me with this. 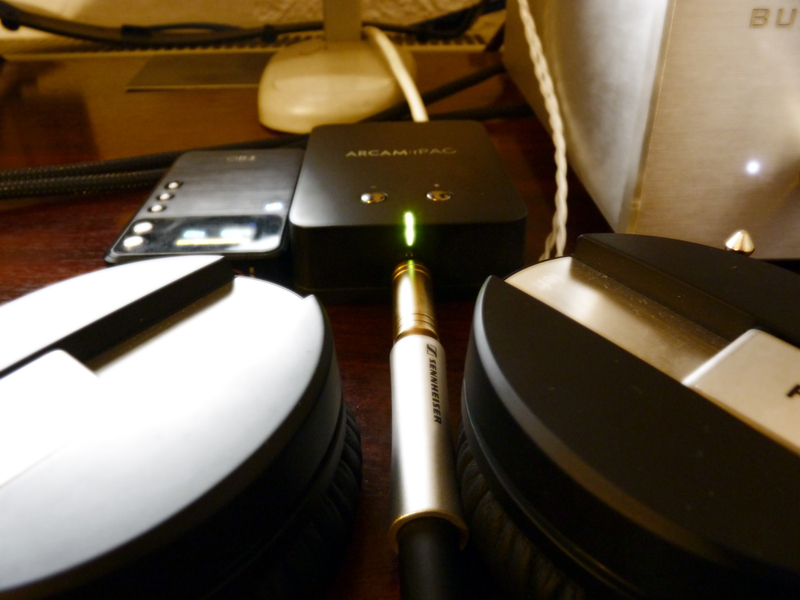 I ended up listening to a whole bunch of songs with the pretentious HD800 & the arcam unit (never expected this…wow) . There I was…minding my own business when the rPac surprised me as hell with this. The e17 is almost half the size of the rPac. Both have a very sturdy aluminium case, but the rPac really looks impenetrable. 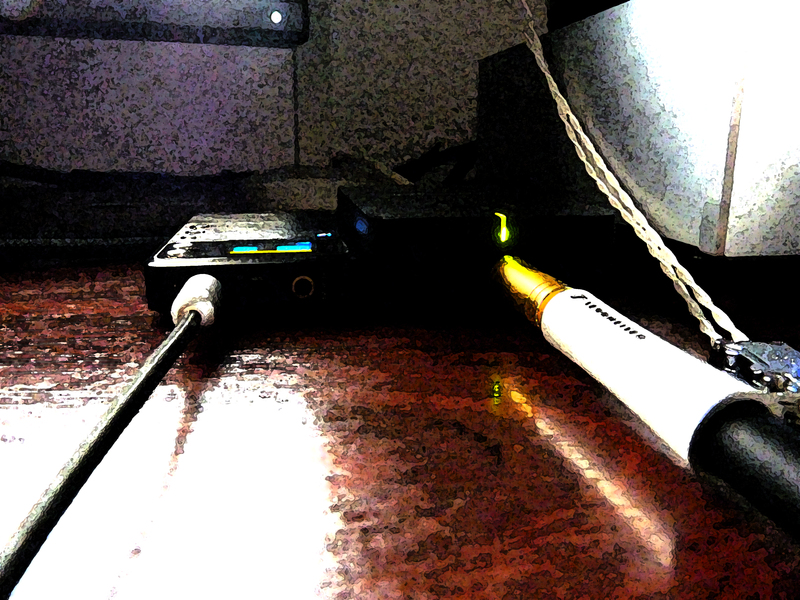 While the E17 has a usb input, SPDIF In, aux out & headphones out, the rPac has only the USB In, headphones out and RCA out. The E17 has a nice menu while the rPac has only volume buttons on it having a rather spartan but pleasant design . While you can use Fiio separately as amplifier and as dac, the rPac could be used just an external dac with other devices. Also the E17 has a battery than can become really handy in some situations, and also contributes to a cleaner sound. I really loved this little box and I recommend it with ease to anybody who wants portable sound. Don’t forget that it really benefits from a good USB cable. 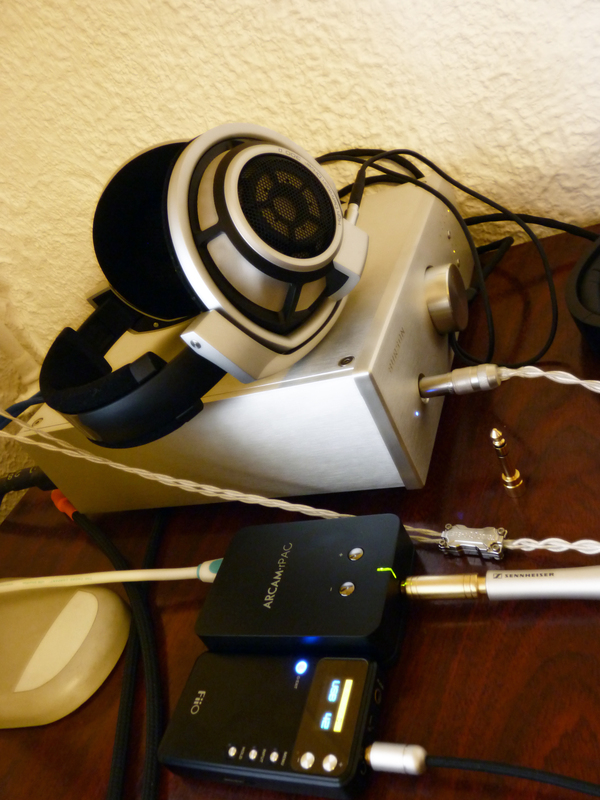 ← Focal Spirit One Headphone Contest!